Popular Fiction spins out from its smooth black center in wide concentric circles, like rings in a tree. Listen close, and you’ll hear all the people Will Marsh has ever been. A little kid, only twelve, thrilled beyond measure to be toying with a four-track and a six-string. A Dylan obsessive at seventeen, reeling from heartbreak and wanderlust, and daring, in the tradition of his idol, to put the feelings in song. Awake too early the morning after his birthday party, newly twenty-one, traipsing through a vast void of virgin snow with a guitar strapped firm to his back. Now twenty-five, Will is at last ready to introduce the world to Gold Connections — once a scrappy sophomore-year passion project; now, aided by seasoned hometown producer Daniel Goans, a high-fidelity font of expression for the many lives he’s lived. We have a word for the kind of music Will makes, flush with heady, youthful firstness and stepped in the worn warmth of folk and blues. We call it timeless. These songs are a hundred years old, and they are brand new. Echoes of the Harry Smith anthology brush up against Big Star, Sonic Youth, R.E.M. 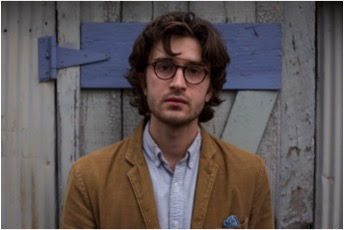 When Will relates the facts of his life – his first loves, his fights, his late nights in hazy college bars – he calls on the Ancient Greek mythos, or the fiery, retributive bits of the Book of Genesis. Will describes Popular Fiction as a coming of age, but his scope sprawls far beyond his own time on Earth, forward and back, endless. “It gets slow when the sun don’t shine,” he sings, in emotional stand-out “Plague 8.” “Nights are like the years, they pass on by.” Past, present, and future — here, all collapse into one. In “Icarus,” Will howls raw-throated, ad infinitum: get back! Get back! Get back to rock and roll!There’s no purism in the plea – no disdain for kids these days, for electricity. It’s an expression of love, of hunger, of gratitude for the sound guidance of those who came before. There is boldness, and no small amount of bravery, in daring to contribute a verse. But Popular Fiction is a steady piece of reassurance, a new circle opening and spinning and slipping quiet to a close. We’re thrilled to hear how far he’s come. And we can see, with total clarity, just how far he can go. 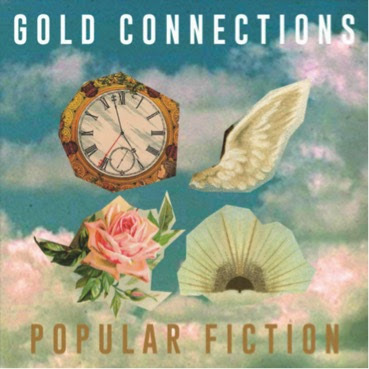 Today, indie rockers Gold Connections have announced their debut album Popular Fiction, which will be released through Egghunt Records on May 11th. 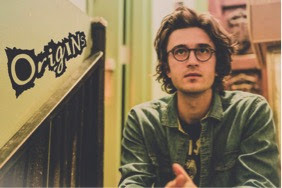 Additionally, Consequence of Sound ran an in-depth Origins feature, with singer-songwriter Will Marsh diving into the underlying influences of the track. Check out the full feature here. Gold Connections will also be playing a sold-out show with Car Seat Headrest at Market Hotel in NY on May 8th. Additionally summer dates to be announced. Pre-sales are available now via Egghunt Records.